The selection of kits these days in unbelievable. Who would have thought we would get a Char 2C? There were only ten of these tanks built! I’m not complaining, as I have always thought this was an intriguing tank. 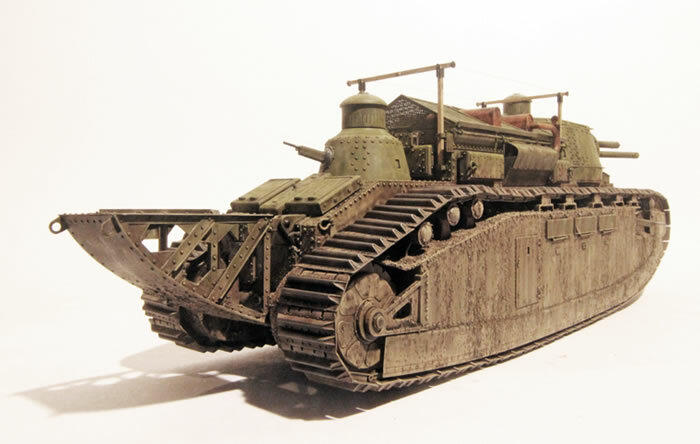 On starting the kit, my first impression was that it was a follow-on to the Tamiya Char B1 bis. It is molded in the same color plastic, has a similar level of engineering sophistication, and it is also somewhat simplified without really degrading from the quality of the finished model. 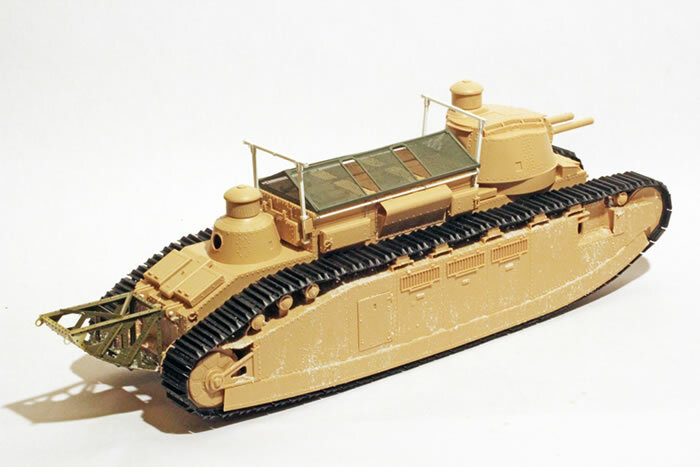 The one big issue with the kit is that Meng has not provided the complicated undercarriage of the tank, but have offered a very simplified rendition instead. This is not a problem if you plan to model a tank that has the skirt in place, since little of the suspension can be seen with the skirts in place. 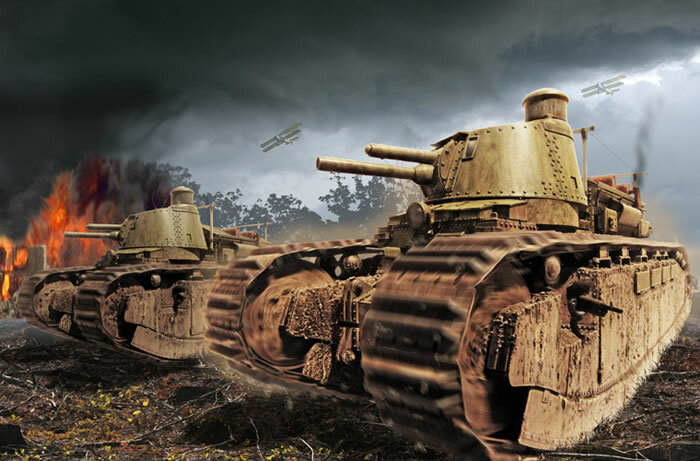 The Char 2C was designed to take part in the Allied offensive of 1919. Obviously this never happened. But I thought it would be interested in building it in the early configuration with the World War I era features. This meant doing an anti-grenade screen, adding a tail, and adding the early-style TSF aerial with wooden frame. I soldered together the anti-grenade frame from brass strip and Eduard PE screen. The tail is from sheet plastic as is the radio aerial. Otherwise, I built the kit out of the box. The engineering and fit were excellent and I had no particular problems. 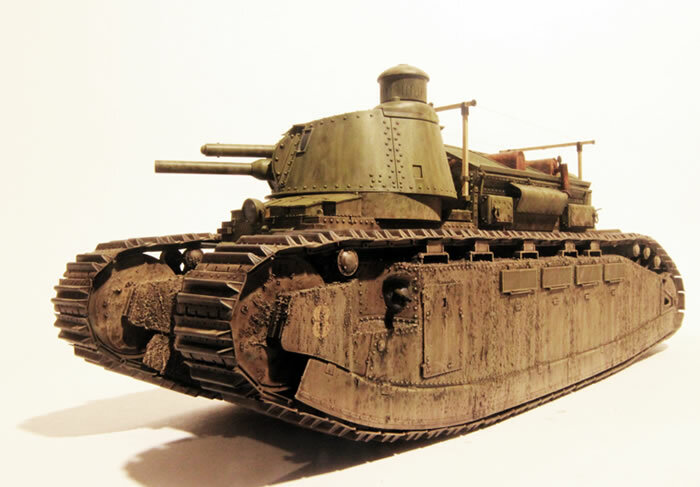 I depicted the Char 2C in the early, overall army green scheme. 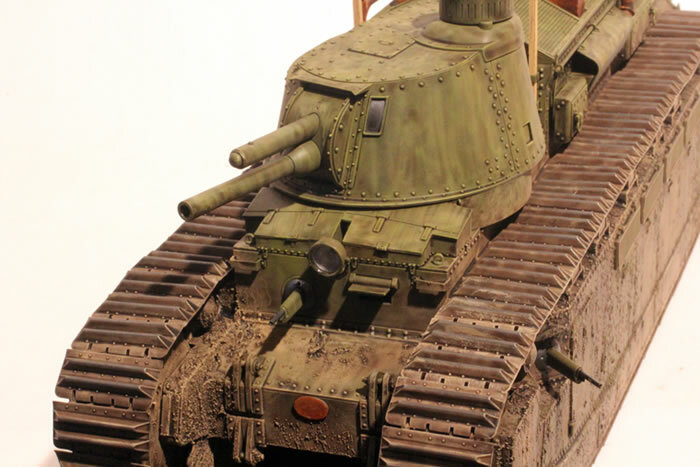 The heavy weathering on the tank was done using Liquitex Acrylic texture gels. I mixed together their Ceramic Stucco and Blended Fiber types to get the right consistency and texture. Overall, a very fun build. Now how about a Schneider CA.1, an A7V, a Mark IV….